Michael Jordan filed a lawsuit back in 2012, in China, for the use of his name and brand. He recently lost this case. In the Chinese language, his name Jordan is “Qiaodan.” And the symbol being used is identical to the same one used in America. The judge’s reasoning why his claims don’t stand is because the image does not have a face on it to clearly identify him; and the name Jordan is a common name used in America and Qiaodan is not only used for the name Jordan. Having experience with Intellectual Property, my first question is was the Jordan name and image trademarked in China? Are there international patents and/or trademarks in place? This is a major concern, because had it been, then the fight between their trademark and the Jordan trademark would be the first basis to contend. Where there loop holes in the Jordan trademark that allowed the Qiaodan trademark? It’s easy for one to assume that someone like Michael Jordan’s legal team would know how to prepare for this defense. This brings high concern. What is the wording used in the trademark? Is it outdated? It seems to me someone did not cross the “t” and dot the “i”. Most of the manufacturing has been in China so of course they know how to make it and what design they use. Where was the protection? This leads me to this thought, no matter how experienced a company; it can always use the advice of a business professional. An advisor can help you bring your business up-to-date and make sure you are relevant to the times. I am pretty sure that had there been someone who could look into the company and offer advice on where it could be better, then maybe they could have caught this missing link before there was a case. There is the old saying, “If it ain’t broke, then don’t fix it” but in a world like today that changes by the minute, “fixing” is a must. Of course people love to buy the same Jordan’s they were selling 10 years ago over and over again. So the brand is very stable, it’s the international protection that’s missing. Of course now they should make sure that there are trademarks in place in other countries. International patents are very expensive and time consuming. You have to have “eyes” everywhere to make sure you are not being infringed upon. The laws that govern intellectual property vary by country. Experienced attorneys and representatives can help lighten the load and legal woes. Of course the Jordan brand will continue to make money regardless. But, the idea that someone else is making money off of a strikingly close resemblance is extremely frustrating. This is no different than a song writer or producer being the victim or offender of copyright infringement. Take for instance Pharrell and Robin Thicke’s song “Blurred Lines.” They lost the case because there was a concern that he sampled a popular Marvin Gaye song. Pharrell spoke with Oprah about the situation and stated that he did not sample the song, but with such legalities in order it leaves the question how can an artist use inspiration? Maybe to some, using this same idea applies. There is nothing new under the sun, but where are the lines of inspiration blurred when it comes to being innovative? So maybe the Jordan brand can take it as it as compliment that someone likes them so much they were “inspired” to make a similar shoe with a similar image? Or maybe they really stole the idea and Jordan’s lack of trademark allowed such an action to occur. No matter, it’s never too late to get the advice of a professional to make sure your company’s paperwork and protection are up-to-date. It could mean millions and even billions! and utilizing those magazines that have piled up on your coffee table. It’s time to make a vision board! Over the past few years, vision boards have gotten more popular as they have been perceived to be highly effective while pursuing your goals. The downside is that It can be tempting to glue pretty pictures on your poster board without fully investing the intention behind it. This year challenge yourself to incorporate these 8 tips while creating your 2018 blueprint for success! 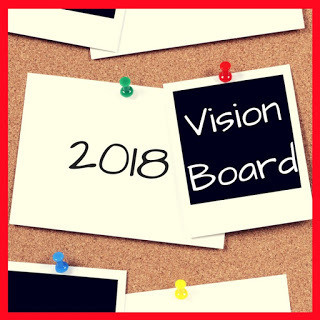 Your vision board serves as a guide to stay laser focused on specific goals. You are your own GPS. Try planning your route to success with journaling what you want to work on this year, and get super specific. Be sure to get so detailed that it prompts you to visualize that new house, or new business product in your mind. Take some time to research some of the items that will need to be placed on your vision board. Instead of overcrowding your poster board with pictures from a magazine, perhaps finding small symbols that mean something to you. Therefore when you see those symbols out in the world, it becomes a reminder to stay the course. It’s exactly why symbols are used as logos in marketing. As you set a date and time to assemble your vision board be sure that you are overwhelmed with positive energy. Don’t invite skeptics to your vision board party. It taints the vibe of a sacred moment. Play your favorite music, light some candles and fully commit to the moment. to get excited about it. What you dream is what you get! Dream big. After you have completed your vision board. Post it somewhere where you might see it every day. Allow it to seep into your subconscious. Seeing it as often as possible allows it to get deeply ingrained in your way of living. Take a picture of it and store it as your screensaver. Use your vision board to record a list of affirmations. Listen to your recording daily. Recite words that reflect whats on our vision board.Give yourself a 21 day challenge to create new habits that align with your vision. Have an accountability partner when times get rough and stay on course. If you follow these tips, watch it work and share these tips with friends and love ones who are ready to be great! Did you know how you handle your money is a direct correlation with how you feel about yourself? Think about when you set personal goals, 99% of the time they always include finances and yet those are the goals you neglect the most next to your health. Here are my top 4 signs that show you disrespect money and a few suggestions on how to change these behaviors! Get Organized! Separate your bills monthly or categorize them by type. Review them each month to see where your money is going. Track your monthly expenses so you’re always conscious of the fluff in your budget. There’s extra money there, you must get organized and find it! A budget will help you plan for debts and activities. Spending money sporadically will end in disaster. If you’ve planned for the day of shopping, you don’t have to come back home and figure out which bill you have to skip because you had an unplanned expense. Now don’t get me wrong, of course you’re not going to follow your budget to the tee 100% of the time but, let’s shoot for 90% and it will be a game changer for your financial outlook! You work hard for your money so don’t waste it all, spend and track it wisely! 3. You’re not paying yourself first! If you don’t plan for your future or care about your finances why should anyone else? You can reduce your stress levels by putting a little money away each month. You need two types of savings accounts, long term and short term. Long term is your company 401(k) plan (why not take advantage of the company match if offered, hey it’s free money), certificates of deposits and investment accounts. These accounts you put the money away and watch it grow! But you also need an account that you have access to with monthly reserves. One month reserves equal 1 month’s expenses. Rule of thumb, you need 6-12 months reserves. But you have to start someone. Start with one month and build from there. It will make a world of difference when you have any unexpected expenses that arise, you won’t have to miss a bill or play catch up. Never stop saving and you will pat yourself on the back after a few years when you see your money growing and net worth increasing and stress decreasing! 4. You don’t know your credit score and you don’t pay your bills on time! Your credit report is you on paper. Nowadays credit is required for everything (insurance, employment, business start-up). Take some time to check your credit scores and work to increase your scores so you will qualify for the best interest rates. This will save you thousands of dollars when you go to purchase a home or car. Get your finances in order so you can pay your bills on time and even pay a few dollars extra each month, it will do wonders for your score. Remember it’s not if you can take control of your budget, credit and finances...it’s when! Porsha founded Affirming Black Voices, LLC, a company that creates and promotes positive content through the power of representation in books, business, digital content, and film. Her first initiative is the Joyful Black Child book series. A book series created to AFFIRM and EMPOWER children of color. 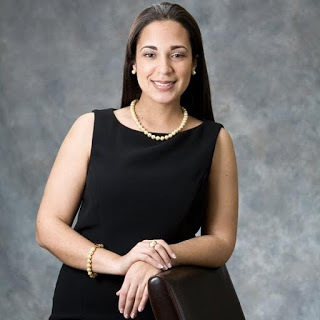 She mentors, coach and encourages children and young adults to become the best versions of themselves. 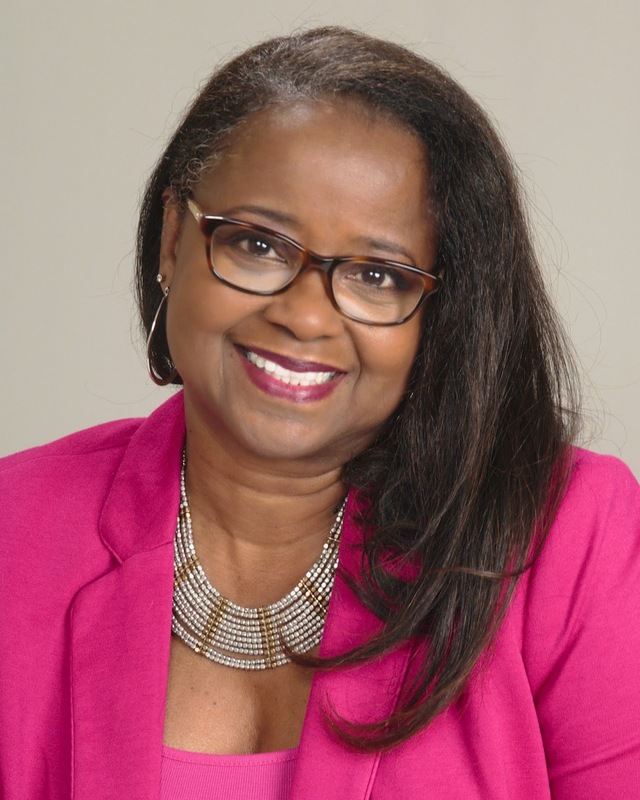 She earned a BA from the University of Missouri Kansas City and continued her graduate studies at UMD Baltimore County. She is currently seeking to pursue her Master’s Degree in Psychology. 1. What were some obstacles that you faced in the beginning process of starting your business or career? During the beginning process of starting my business, I found it challenging to balance my time between being newly married, being in a leadership position at my day job and going through the discovery/building process of my business. I come from a science and technology background, so learning a new industry and process was a bit intimidating at first. After extensive research, reading and mentoring, I was able to overcome the fear and embrace the process. 2. What inspired you to break into your particular industry? I was inspired by my mother and unborn child. The company and book started as a passion project. I started writing as a way to cope with my mother's death and experiencing a miscarriage. Through writing, I realized how blessed I was to have such a loving and affirming mother. She spoke so much life to my siblings and me as children. I wanted to share her wisdom and insight with adults and children who were not as fortunate to have the same experience. Through mentoring, I realized a lot of children and young adults carry a lot of insecurity, self-doubt, and feelings of inadequacy based on things that were said or done to them as children. The controlling negative images in the media doesn't help. Instead of waiting for an external group to showcase the greatness and speak life into our community, I decided to do what I could to become a part of the solution that will help propel us forward. I learned to balance my personal and professional life by PLANNING and SCHEDULING! A wise woman told me "What you don't schedule won't happen." I'm huge on being present with family and friends; it brings me peace and balance. My husband and I have such a good time together, so we are very intentional when it comes to making time for each other and our loved ones. 4. What is an inspirational quote that you live by? The inspirational quote I live by is "In order to live a purpose-driven life, all of your actions must conform to that purpose." -Hill Harper. When I was young, I read his book entitled Letters To a Young Sister. This quote propelled and changed my life by challenging me to become more disciplined and intentional in my pursuits. 5. Who were some influential people or mentors that helped or encouraged you along the way? My mother was the most influential person in my life. She was one of the most optimistic people I have ever met. She taught me to view life through a different lens and perspective. When trials happened, instead of being consumed by them she taught me to find the hidden blessing and lesson inside of every burden. I attribute my success in life to the wisdom, morals, values, and education I received from her. Additionally, I've been blessed to have some of the best mentors ever! Representation truly does matter. Many of my mentors are former colleagues, managers, and directors that I worked with over the years. I'm a walking living example of how representation can drive and motivate a young person to pursue their goals and passions audaciously. 6. What are your “must-haves” to keep your career or business going strong? • Planners and notebooks – I'm a visual learner, I like to write and draw out ideas and plans. • Cell Phone- Maximizing technology that promotes efficiency and increase productivity is essential. • Prayer and Meditation-Health is wealth. It is important for me to decompress, regroup and recenter my mind, body, and spirit on a daily basis. 7. What is your definition of a BOSS? A BOSS walks boldly and valiantly in their purpose while teaching and cultivating others to do the same. They never shrink themselves for someone else's comfort. Instead, they operate out of confidence, love, and respect, not fear, arrogance or jealousy. 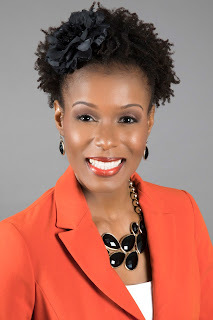 Conchetta Jones is an Author, Model, Speaker and Certified Overflow Coach. As Founder/Owner of She's All That! Woman, a Personal Development & Lifestyle Company, she helps women to identify the obstacles in their lives that are keeping them stuck from living the life of their dreams. By now most of us have heard Maxine Waters infamous line “reclaiming my time” I thought it was humorous how she stopped Steve Mnuchin, who was talking loud, saying nothing and basically using up her time. But as I thought about it more, I realized that like Maxine, we also have people who waste our time with their agendas, and in some instances we waste our own time. How many times have you gotten caught up during the day? You went on Facebook to check out one post and ended up spending an hour or more searching through the posts. Or you get a phone call from a friend who asks you if you have a minute? And 30 minutes later you are still trying to hang up. It is easy to get into the trap of wasting time. And while sometimes this might not be a bad thing, if you continue to allow this to happen you will end up with a lot of undone projects and a whole lot of wasted time. There are many books, videos, classes and articles on time management. I’m quite familiar with them and I’m sure you are too. But it never hurts to be reminded of the basics. So like Aunt Maxine, when it’s time to reclaim your time, here are some tips to get you back on track. Use your planner – Make sure you have a planner, whether it is the old-fashion paper planner or one of the new digital ones or even your phone calendar. But only have one. It is very frustrating to have information in several different places. Also make sure you schedule out everything you have to do, including family time, personal time etc. Write it down – Write down everything you do daily. This activity will show you where you are wasting time and also where you need to be spending more time. Schedule each task – Use your timer and put a time limit to your tasks. Allow 30 minutes to check your email them move on to the next task allotting the amount of time you want to get the job done. Delegate - There are some things that you are doing that should be assigned to another person. Say no – Many times we take on added responsibilities because of our inability to say no. If it does not benefit you, or you don’t feel at peace doing it, then don’t do it. Prepare the night before – Pack lunches, choose outfits the night before, and anything else that will help you during that morning crunch time. Watch out for these time stealers – Checking your email several times a day, Facebook, Twitter, phone calls. These things seem innocent enough, but they can really throw your schedule off. The next time you find yourself wasting time, remind yourself that like Aunt Maxine, you are reclaiming your time. Wondering whether to put your works in print? Whether you have a story to tell or a stance to take, here are three reasons to consider publishing your work. Gaining credibility. Writing a book is often viewed as a major accomplishment. Whether you choose self-publishing or are fortunate enough to secure a traditional publishing deal, being a published author differentiates you from most people. It produces a tangible point of reference that documents your thoughts, feelings, theories, etc. on your subject of choice. Your book may then be used to position you as a subject matter expert opening the door to media contributions and speaking engagements. If you do not think you have enough content to write a book, consider beginning with a blog post, a letter to the editor of an existing publication or a position paper. Building a community. Writing a book is a terrific way to connect with others. You can use your content to spark a conversation and keep it going through book clubs, webinars, and e-courses. Look no further than Cameka Smith, founder of The BOSS Network, for a prime example. 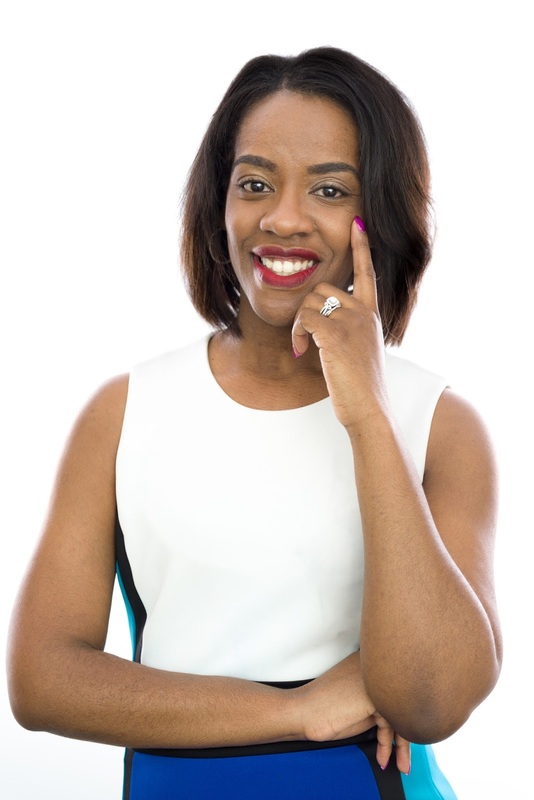 Cameka authored 7 Steps to Grow Your Professional Network, and has since built a successful network that engages entrepreneurial minded women across Facebook, Twitter, and Instagram as well as online and in-person events. Generating income. I deliberately placed this reason as last on my list. Profits from book sales, known as royalties, are not usually the kind that will change your life. Royalties on books sold by the publisher provide the author with a percentage, perhaps 10-20 percent, of the book’s sale price. The payments are likely to be paid out quarterly. On the other hand, royalties on books you sell directly can be higher and cash is usually collected at the time of the sale. In this arrangement, you can buy books (yes, you have to buy copies of your own book!) from the publisher at a discounted price and resell them directly to readers. Publishers usually apply a volume discount so the more books you buy in a single transaction, the less you pay per book. Regardless, if you are looking for a book to generate cash, then your energy may be better invested by using the book to market yourself for speaking engagements. You can make hundreds or potentially thousands from a speaking engagement and use the appearance to sell books as well. Overall, writing a book requires a substantial investment of time, money and of course, writing. Think of the finished product as an expensive business card, then shape your business to generate the desired effects and cash flow! As a mother of two, having managed intercollegiate sports programs for the past decade at both private and public research institutions with budgets ranging from $3mil to $18mil, leading and mentoring hundreds of administrators, coaches and student athletes, I am naturally competitive and have always encouraged my teams to finish strong. With less than 30 days left in this calendar year, I am also encouraging YOU to finish strong. Don’t cruise into the new year hoping things will turn out the way you desire. Crush your goals by reflecting, resetting and R.O.C.K. the 4th quarter. I took some time to reflect last month while visiting the beautiful Lake Tahoe, California. I thought about some of the life lessons learned as I have journeyed in business, sports and higher education. As the first black woman to ever be appointed director of athletics in the state of California at the division one level most days I feel like I am “kicking glass.” Reflecting helped me to appreciate the journey and confirm that having more balance is really what I needed to remain competitive and finish strong. It doesn’t matter if you are working your startup business or managing a large corporation take a moment to reflect, reset and R.O.C.K. the 4th quarter. REFLECT on the struggles and successes of the year in an effort to embrace the journey. Identify one thing in your daily routine to OUTSOURCE and become more efficient in performance for next year. Stay COMPETITIVE to the end because you still have time to accomplish that outstanding goal. Lastly, as you reset think of something business related you can do for another sister to be KIND and supportive. It may be providing a referral, helping with a project or requesting time for coffee. As balanced, business women we must be sure to give proper attention to the things that matter most in life. Whether it is physical, mental or spiritual health and wellness, finances or relationships. One of the most impactful adjustments I made in 2017 was deciding to “outsource my weaknesses.” As women we tend to try and do it all. When I do what I do best and OUTSOURCE the rest it relieves me (and others) of so much unnecessary stress and creates opportunity for me to capitalize in other areas. Everyone has a gift – and I am not a gifted cook. So, I outsourced my family meals to a Food & Wine Magazine Award winning, classically trained and licensed Chef. I have not only maintained a healthy diet but my growing children have benefited from the daily variety and tasty food readily available to fuel their growing bodies. Don’t make an excuse not to outsource. There may be a family member or friend who can help you. In my reality, it cost me less time and money and the peace of mind knowing it was predetermined is priceless. In close, during this season take some time to R.O.CK.! 2017 is coming to a close and it seemed only right to highlight some amazing women, who represent leadership, excellence and support the BOSS mission. This list highlights business women, who inspire us by taking destiny into their own hands. 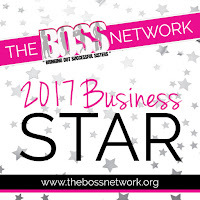 To learn more about the BOSS network visit us and join at http://www.thebossnetwork.org The BOSS Network is a women's networking organization dedicated to highlighting, connecting, and empowering professional women and entrepreneurs while creating opportunities for growth through networking beyond events. 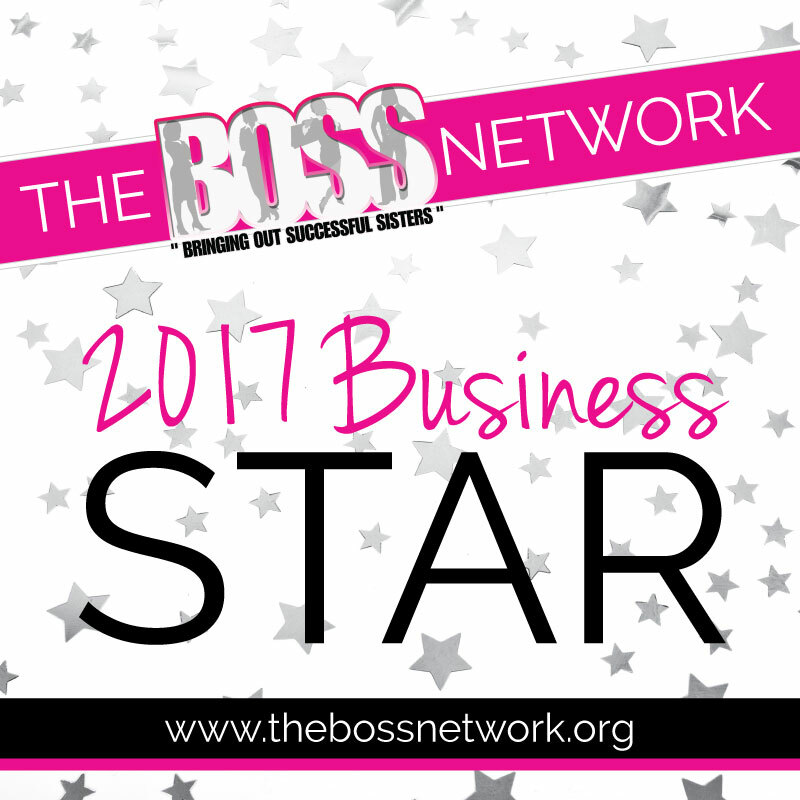 The BOSS Network was named by Forbes.com as one of the Top 10 Best Career and Entrepreneurial Sites for Women. Will you be a shining business star next year?